Anyone passing by 170 Russell might have assumed that there was a punk show on with the queue outside the venue featuring a long line of fans dressed in all black weaving around the surrounding alleys. 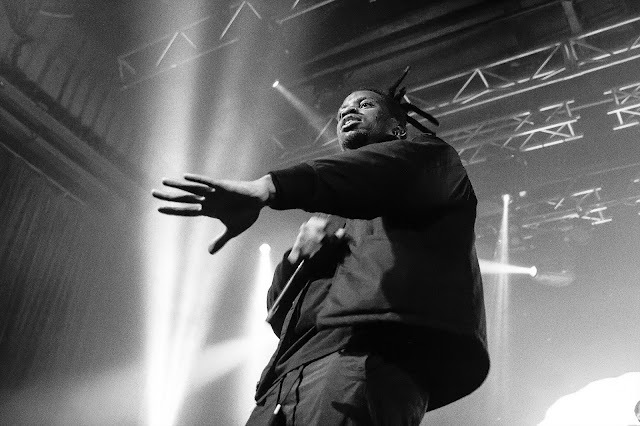 Over the past few years, punk and hip-hop continue to become more closely aligned and Denzel Curry’s live show showcased why the two distinct genres are a perfect match. If you ever plan on seeing Curry live, expect to see crazed jumping, headbanging and circle pits. 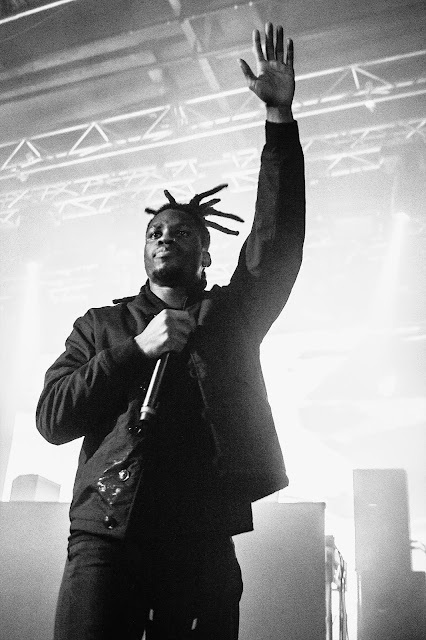 It can be argued that his energetic live shows are an extension of his 2018 album Ta13oo, with each track in his setlist strategically placed to recreate the energy of the album’s three Acts ‘Light’, ‘Gray’ and ‘Dark’. Just like the beginning of Ta13oo, Curry’s night kicked off his set with tracks from the album’s ‘Light’ portion of the album, including ‘Taboo’, ‘Black Balloons’ and ‘Cash Maniac’. 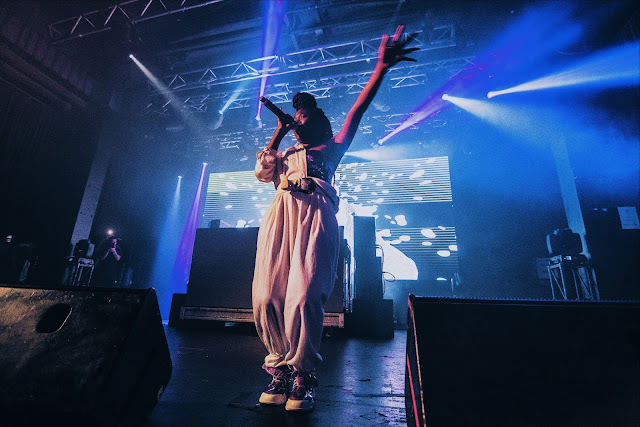 ‘Black Balloons’ featured a guest appearance by Sampa the Great, who oozed confidence and poise. The opening section of the show was as calm as the night was going to be. By the time Curry reached ‘Sumo’, everyone knew that things were going to begin darkening and the fans in the room were eagerly awaiting the chance to unleash. From this point on, 170 Russell turned into a boiler room, with fans turning up the temperature. The next portion of his set also allowed room for his classic hits, like ‘ULT’ and ‘This Life’. As the night progressed, the crowd’s moshing amplified and saw the show transition from a rap show to a punk show in a matter of tracks. 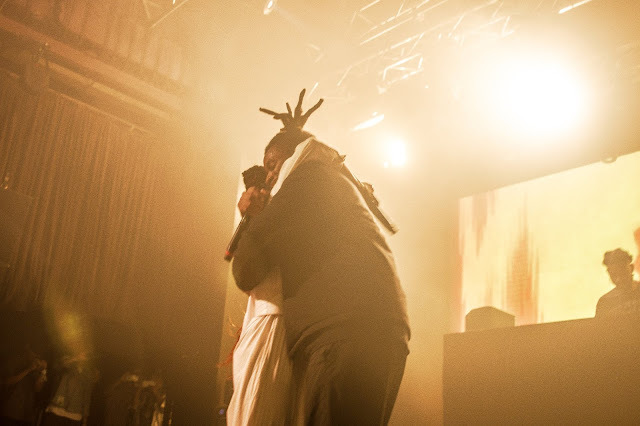 Towards the third portion of his set, which was the darkest part of the night, Curry played homage to his friend XXXTentacion by performing ‘#ImSippinTeaInYoHood’ and ‘Look At Me!’. Though the former rapper’s life prior to and after his death has been ridden with haunting allegations of abuse, Curry knew him on a personal level and should be allowed to grieve the death of his close friend if he chooses to do so. The end of the night saw Curry recreate a wall of death, which has been a staple in his shows for a few years now. Though the venue’s moshpit area isn’t large, he divided them in half showing a clear split in the middle. Once the beat dropped, they unleashed fury on one another and crashed their bodies in true punk style. After a chant for ‘one more song’, he returned to the stage to play his unleashed Flying Lotus produced track ‘Black Balloons 2’, ending the night on a satisfying note. 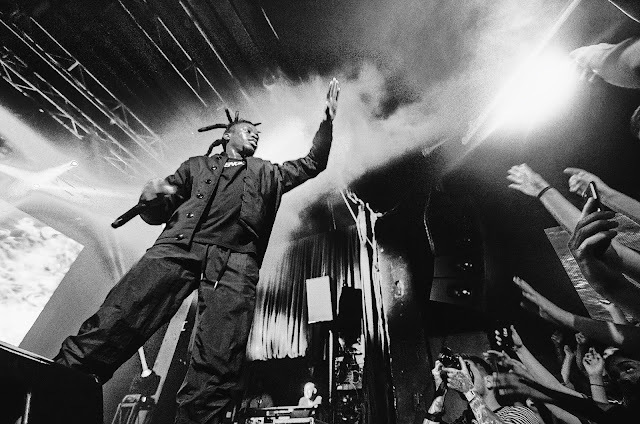 Denzel Curry shows aren’t for the lighthearted — he presents an alternate form of hip hop that imbraces styles well beyond its borders and his shows are a reflection of this.